Australian cyclist killed by garbage truck while holidaying in New York. Police said 23-year-old Madison Jane Lyden veered into traffic about 4:45pm on Friday (local time) when a stopped taxi suddenly pulled out in front of her. US network NBC reported a friend and passers-by delivered first aid but she was pronounced dead at the hospital she was taken to. “I was just praying, ‘Please God, help her’,” one witness told NBC. New York City mayor Bill de Blasio visited the scene. “It’s just disgusting what happened,” he told the NBC. The channel said the truck driver was “evaluated and is not officially charged”. The Department of Foreign Affairs and Trade (DFAT) said it was providing consular assistance to Ms Lyden’s family. 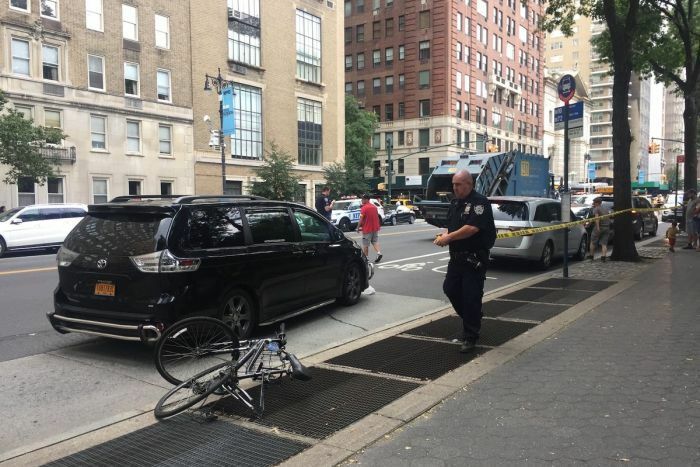 New York City transportation advocacy group Transportation Alternatives said it was “a crash waiting to happen” because “lazy and entitled drivers” were parking, dropping people off and idling in bike lanes.